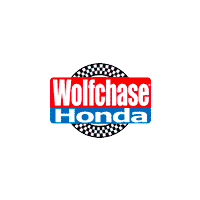 At Wolfchase Honda, our Honda parts department offers a wide variety of parts and accessories for all Honda models. This includes everything from performance parts to head-turning accessories to oil filters for your DIY oil change. Whether you drive a Honda Civic, CR-V, Pilot, Accord, or another model, we have parts built for your vehicle that you can order online. The difference between genuine OEM Honda parts and aftermarket parts might seem like a few dollars, but it can also be thousands of miles of use. It’s for this reason that if you’re doing any kind of home auto work, we encourage you to treat our Honda parts show like it’s a cabinet in your garage. You’ll be taking home the same quality parts our service center uses whenever we work on Honda vehicles. If you have any questions in the meantime, don’t hesitate to contact our parts department directly or visit us at the dealership.